You are in the market to hire creative and marketing professionals - an exciting endeavor that can sometimes become a burden on your time and resources. Securing qualified candidates takes research, patience and a lot of effort. Wouldn't it be easier if you had a partner? 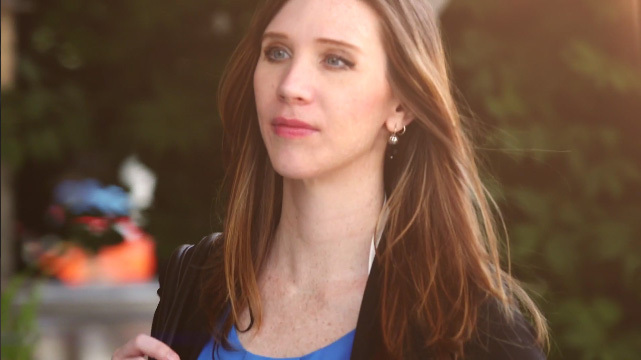 Profiles is among the leading direct hire staffing agencies in the creative and marketing staffing industry. Our subject matter expert recruiters are already connected to the top-tier digital candidates you need for full-time permanent positions. You share your vision and we seek out and deliver the talent you need to enhance your teams. It's that simple. Creatives are never one and the same, which means hiring them requires an understanding of their industry and talents. Our recruiters are well-versed in creative staffing. They come from a creative background that drives success in filling positions for creative, marketing and technology companies, including copywriters, digital marketing managers, marketing analysts, UX/UI, web developers and more. From entry-level to senior executives, our recruiters can guide your team to the most qualified and cultural fit. Company culture and working environment have a lot do with creativity. That's why our creative staffing agency focuses on recruiting for skill as well as cultural fit. What's better than hiring a candidate that feels like a seasoned team member from day one? At Profiles, we do more than send you a few resumes and call it a day. We get up close and personal with candidates, learning about their personal interests, professional goals and ideal working environment. With that insight, we make matches based on culture as well as skills. We also have the tools, insight and experience needed to precisely track and measure your hiring process from beginning to end. That way, you can see a tangible return on your investment. We recruit nationally to place locally. If you're looking for a direct hire staffing agency in Baltimore, Chicago, Dallas, Washington, D.C., Philadelphia, Richmond or San Francisco, Profiles is at your service. Contact us today to learn more about how we can place digital talent in your organization. Why Work With a Direct Hire Staffing Agency? You need creative, marketing and digital talent pronto. You are also looking for candidates who are in it for the long haul, ready to work on a full-time, permanent basis. Direct hire is your answer. Direct hire staffing agencies work with you to find elite candidates interested in more than temporary or contract-based positions. Recruiters handle all the complexities of the hiring process. All you have to do is decide which of the top-tier candidates you like most, and then welcome them to your team. Searching for new employees is a time-consuming process. As important as it is, it can sap your energy and distract you from other duties. Direct hire recruiters do the heavy lifting, finding the new hires that have the relevant skills and experiences your workforce demands. We want your search for talent to be a positive one, ending with a hire you're confident in. Full of skilled creative staffing recruiters, Profiles can help your company hire employees with top industry talent and experience. We screen for candidates who have a broad spectrum of knowledge along with specialized focuses. The talent we find know how to meet deadlines, dream up innovative campaigns, create award-winning content, fix bugs and deliver big on every project. We settle for nothing less. Beyond these abilities, our recruiters also choose new hires who have the appropriate voice, personality and passion to enhance the face of your company. 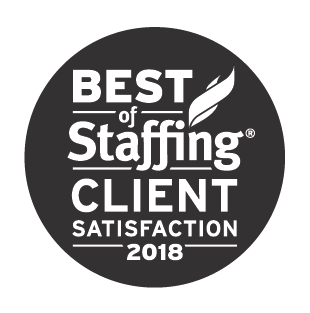 Voted Best of Staffing in Client Satisfaction, we're ready to help you find success in your hiring process. When you're in need of permanent direct hire staffing solutions, reach out to us. Our expert recruiters are excited to join you on your recruitment journey. So what can you expect when you work with a direct hire staffing agency like Profiles? Dedicated account team specialized in the skill sets you are seeking. Unique recruitment marketing strategies for each job order. Access to industry-leading employees and big-ticket talents. A new level of competence and credibility for your growing workforce. Freedom to focus your attention on your core business, while specialized recruiters handle the screening and hiring processes. 90-day guarantee (ask us how). At Profiles, we understand the importance of hiring the right people. Employees stay motivated, teams function more efficiently and projects meet deadlines. For over 17 years our direct hire staffing agency has taken a unique approach to recruiting. This is why Fortune 500 companies trust our experienced talent recruiters to find exceptional hires for their organizations. If you are looking for a direct hire recruiting firm in the Baltimore, DC, Philadelphia, or Richmond areas to find elite marketing or creative technology talent, contact us online today. Just let us know what position you are looking to fill, and one of our hiring consultants will be in touch.